Businesses on Place Jourdan in the EU district say they have had a "catastrophic summer" as renovation works on the square are over-running. Most of the restaurants in the area have been unable to use their terraces during the warm weather, while pavements and road surfaces are being dug up. "The works are currently two months late," said Michel Dehaes, president of the local traders' association. Traders say most of the work so far has been concentrated on the junction with Avenue Maelbeek, which has to be completed before the start of the new academic year. As a result, roadworks in Place Jourdan itself have been pushed down the priority list. "I think everyone here has had to reduce staff numbers," Dehaes said. "Two restaurants have stopped opening at lunchtime because it's no longer profitable and there are shopkeepers who are struggling to keep their businesses afloat." 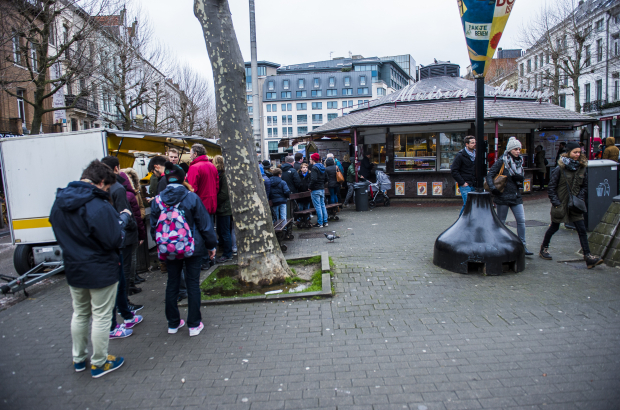 Public works body Beliris, which is responsible for the semi-pedestrianisation of the square, wants to organise a meeting with traders and Etterbeek town council staff as soon as possible to discuss the situation. Place Jourdan is supposed to reopen to traffic in October, but the renovation works will continue well into next year.